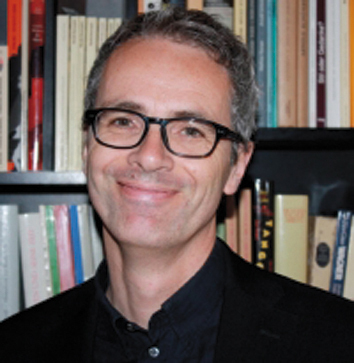 Being members of The International Federation of Choral Music (IFCM) has enabled two musicians from different hemispheres, strangers to each other, to collaborate in a joint performance project, although recently, the author had to drop the initial plan as he began his PhD study in ethnomusicology at Otago University, New Zealand. The project began when Ulrich Krämer, from Germany, was on his summer break in 2012. As he planned to spend his holiday in Indonesia, he made contact with four ICM members from Indonesia, including myself. On 28 August 2012, Mr Krämer and I met in Salatiga, Central Java, and discussed some possible ideas for 2014’s collaboration. This meeting resulted in holding a joint concert that incorporated a classical German Christmas choral piece and some popular carol songs. Later, in the beginning of 2014 Mr Krämer emailed me and suggested Weihnachtsoratorium by Johann Sebastian Bach. This large-scale choral composition was selected for three reasons: 1) the theme fits with the Christmas season; 2) it is interesting and not too difficult; and 3) it involves several cantatas that can be selected and performed separately. The intense discussion at the beginning of year 2014 also resulted in the decision to involve Satya Wacana Music Department’s choir and orchestra as the performers. 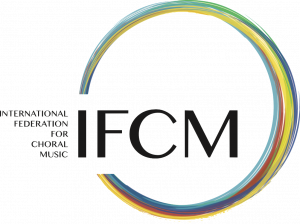 This article is intended to describe the joint project and its benefits, and to showcase a cooperation project that can be nurtured among members of IFCM with the aim of increasing cross cultural relationships and understandings, particularly those related to the development of choirs. Cultural differences are not easy to deal with. For instance, self preparation, initiative, discipline and commitment were cultural barriers that affected the rehearsals. During the first two weeks of practice (in mid November 2014), Krämer found that some important instructions on bowing had not been added to the music sheets of the string section. Even worse, some string players had not had the music scores with them. At other times of the practice, Krämer found two basic problems: 1) tardiness, and 2) lack of responsibility among the singers and the players. However, he, the singers, and the players eventually learned to adjust to one another. This learning process helped those involved to eventually enjoy their cultural differences and consequently the practice sessions went better. 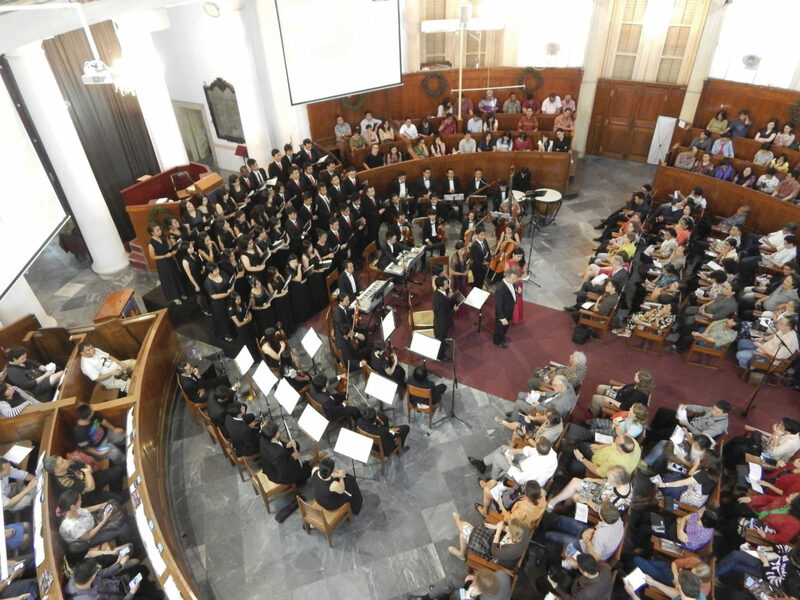 The concert was performed consecutively in three churches in different cities. The first was in Gereja Bethel Indonesia (Indonesia Bethel Church) in Hasanudin, Salatiga, on 4 December 2014; the second and third took place at, respectively, Gereja Isa Almasih (Church of Jesus Christ) in Pringgading, Semarang on 5 December 2014, and at Gereja Protestan Indonesia Bagian Barat (Protestant Church in West Indonesia), Jakarta on 9 December 2014. The first two places are located in Central Java, whereas the last is in the capital city of Indonesia. Each concert, which featured four soloists, forty singers, and thirty musicians, received the enthusiastic appreciation of the audience. During the first concert, the biggest problem was the acoustics of the church. Krämer admitted that he could not hear the choir at all during the concert. In addition, the singers focused too much on their scores, for it was their first concert. The second concert in Semarang went relatively better. However, the sound of heavy rain proved to be a major disruption to the concert, since the church building was not soundproofed. The most successful performance was the final one in Jakarta. Although the church, inaugurated on 24 August 1839, did not have sufficient air conditioning facilities, it had the best acoustics of the three churches. This church was able to accommodate an audience of 300 people, and was packed full during the performance. The audience was composed of members of the public and representatives from the German Embassy. Although Krämer and the performers suffered from the heat, they managed to perform successfully the ninety-minute concert and entertained the audience well. One of the success factors of the evening concert was the excellent performance from the soloists, Jollies Dicky Firman (tenor), Elvira Hoesein Radia (mezzo soprano), Eriyani Tenga Lunga (soprano), and Felix Avianto (bass). The audience granted the performers a long standing ovation at the end of the concert series. This joint project is just one example of positive collaboration that can take place between IFCM members. Krämer and Satya Wacana Music Department were successful in involving the support of Carus Publishing Company and the German Embassy in Indonesia. There are many other opportunities for future cooperation: for instance, holding music workshops or seminars; giving voice or choral conducting master classes and choral clinics in primary and secondary schools or universities; composing music together; undertaking joint research and publication. At one end, the host musician can provide local accommodation for the guest musician, as well as plan, prepare and conduct the event. At the other end, the guest musician can provide the funding for his/her transport costs, including arranging travel documents. Such cooperation needs to be conducted more by members of IFCM because it bypasses the problems of bureaucracy and in many ways the initiative is more genuine. IFCM as an institution may give recommendations and suggestions to their members in organizing the event and finding sponsorships. IFCM may support them with materials for training, and possibly sheet music. Ulrich Krämer attended music education at the Music Conservatory in Heidelberg-Mannheim, where he studied choral conducting with Johannes Uhle and Frieder Bernius, and orchestral conducting with Peter Braschkat. Krämer was the founder and conductor of a teenage choir named Rhythm and Joy, of the EFG-Singers male choir, and the Project Choir and the Project Orchestra at Firstwald Protestant High School in Mössingen. Edited by Grace Kim, U.S.A.